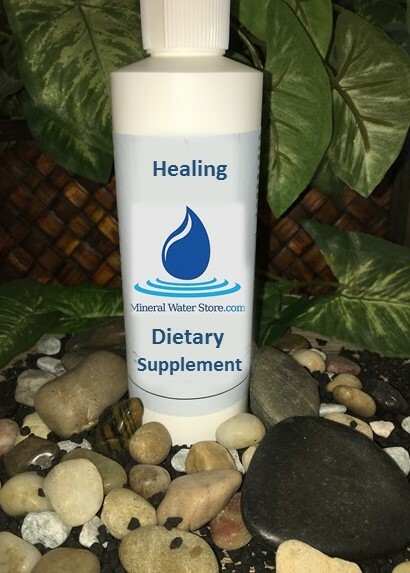 Healing Mineral Supplement is a multi-minerals mix used for dietary supplement with specific concentrations of minerals to promote rapid healing. INGREDIENTS: Boron, Calcium, Chromium, Cobalt, Copper, Germanium, Iodine, Magnesium, Molybdenum, Potassium, Selenium, Silica, Sulfur, Tin, Vanadium, Zinc, Multi Minerals and Trace Elements in purified water. SUGGESTED USE: 4 to 8 ounces every 4 hours daily as needed for aches, pains, soreness, and other benefits or by protocol of health care professional. We will not be offering gallons for now, Sorry for the inconvenience. NOTE: This product is completely absorbable, will not interfere with any medications, and suitable for vegetarian and hypoallergenic applications. Using minerals in higher concentrations and combinations offers some of the most powerful healing benefits known to man because of their ability to eliminate sickness and disease. Due to the many variables in the metabolism of each individual striving for homeostasis the healing response time using the dietary mineral supplements will vary from person to person. Some people have remarkable results while other people are unable to notice any effects during the same time period. Copyright © 2007 MineralWaterStore.com. .